Winthrop offers some great rock fishing , but be careful. The surrounding towns of Lynn,Revere and or Newburyport should have some action by then. Boston has Southy and Charlestown around the river systems that may well prove to be an inner challenge depending when you decide to fish it. Very true words , however when it comes to Lami in most cases you will not go wrong in building a rod from one of there blanks The 3m blank is the standard rod for jigging the canal in all of my years canal fishing . 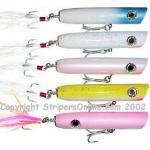 Different lengths can be modified some what to obtain a perfect rod for you. Unfortunately time has shortened for me and many of the long rods [majority of which are Lami glass and graphite] I find myself using less. I have many custom made lami, by me and others that during my life time I have found to be perfect for what ever species I was fishing on and in many types of conditions. You give up things at times and that is why all of the talk each year about a new and better rod blank sort of makes me say the same old thing. As much as things change they still remain the same , we all are looking for the perfect rod that will allow us to cast plugs, work a jig or cast a chunk . A rod that has multiple uses . I have searched for such a rod my entire life and much to my disappointment it never happened. Any rod we use will find one good use for it and so we identify that use and then purchase another one for something other. We have both conventional and spinning combinations that now will sit and gather a little dust from time, but each one has a story to tell and a memory to recall and that is just as good as using it at times. As the fishing scene is about to explode with fish as the local bait is building in many of the local areas around the The Cape Cod Canal Region, Nantucket, and Martha Vineyard we are seeing the anticipation of another year on the water . By shore or by boat the arrival of the Scup, Blue fish, Sea Bass Toutog and Striped bass, Flounder and Fluke all get the juices flowing once again as they begin to feed on the squid, mackerel herring, green crabs and Pogies Which one do I begin with first , where do I start my firs trip , what to take along with gear , just in case the fish you seek decides to have a closed mouth . Or better yet a fish you were not expected decides it is hungry enough for your offering where you chose another fish to fish on that day. Will you be prepared to battle a fish of size, should you get lucky enough to hook up with a beast, no matter what fish you decided to begin the season for.. Have you checked your tetanus shot to make sure it is up to date for when you will stick a hook into your body some where and or one that needs surgery to remove. Another years anticipation of exhilaration of some good times as well as some not so good await each of us as the Fish Gods prepare the table before us . Are you prepared ? Will you be ready to deal with new fishermen in the same places you like to fish ? Will this be the year when you catch a fish of a life time and have the quandary as to what you do with it after landing it. Are you ready to share a story or two with some unknown person you meet along the way to this new beginning of another year ? Will this be the year that your patience allows you to fish along side others who are disrespectful to the resource, no matter which species you fish for and make them be accountable for what they are doing? To one and all , the young the old among us may this about to begin salt water scene be a safe year for all. The anticipation is a catching expectation among us like children waiting for a piece of candy from our parents to sweeten the pallet our sugar is a fish on the end of the line , Go get them and join in another year of hopeful sportsman like conduct that is waiting for you somewhere . Put in your time and who knows what good fortunes you will have Good luck to one and all who may read this . Now that is a great idea and one that I have never heard from any one before. One could also be given just so many tags each year , until we are able to better understand the complete picture of catch and release and all of the dead fish as a result of recreational fishing has on the over all picture in the health of the stocks them selves. No one needs to take home a fish of size every day they go fishing , nor should they. I read some where recently that the over all numbers of fish released by recreational fishing and died surpass the total numbers of fish taken by the whole commercial quota. by almost two to one . If those numbers are true we are in some serious problem long term unless we find some way to come to grips with how we fish for these fish long term. WE caught a horn pout and cat fish from that area with shrimp back in another time.